The PhysioLogics® brand of nutritional supplements was discontinued effective March 1, 2016. To provide physicians and patients with alternative choices for favorite formulas that are no longer available, Patient One has introduced several new products. Patient One CT Joint Care supplies a blend of traditional herbs along with flavonoids and enzymes that support connective tissue and joint comfort. This formula provides Turmeric, Boswellia, Ginger, Devil's Claw and Yucca extracts along with Quercetin and Bromelain (increased to 100mg). Absorption of turmeric is often limited due to its poor absorption from the GI tract. BioPerine®, a patented form of black pepper extract, is also included in this formula as it has been shown in clinical studies to enhance the absorption of turmeric. CT Joint Care's combination of ingredients is formulated to reduce minor pain and maintain a healthy inflammatory response. 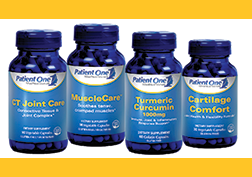 Patient One MuscleCare™ supplies key electrolytes for maintaining healthy muscle contractile function, along with soothing botanical extracts of Valerian Root, White Willow Bark and Passion Flower to ease occasional muscle tension. This formula provides effective support to help reduce painful nighttime leg muscle cramps, minor muscle cramps or overworked muscles associated with athletic activity, and overall muscle tension. MuscleCare also promotes relaxation for a restful night’s sleep. Patient One Meso-Z Vision supplies a complex of lutein, zeaxanthin and mesozeaxanthin, naturally occurring plant pigments (carotenoids) that are concentrated in the macula. Research has shown that macular pigment (the yellow pigment at the macula believed to protect against age-related macular degeneration, or AMD) increases upon supplementation with lutein, zeaxanthin and meso-zeaxanthin, and that macular pigment increases are higher when all three are taken together. Patient One Phytosterol Complex supplies plant sterols to promote healthy cardiovascular and prostate function. Beta Sitosterol, the most abundant plant sterols, also contains Campesterol and Stigmasterol for additional health benefits. Typical Western diets provide a low amount of phytosterols, and natural phytosterols are often removed from vegetable oils during processing, pointing toward supplementation as an effective way to receive these healthy molecules. Phytosterols have been studied for their role in promotion healthy lipid metabolism, enhancing bile acid secretion, supporting liver function and promoting prostate health. A common herb native to the Mediterranean, milk thistle has been broadly used for its nutritional support of liver function for two centuries. Seeds of the dried milk thistle flower are rich in silymarin, a bioflavonoid complex of silybin, silydianin, and silychristin. Silymarin is responsible for milk thistle’s powerful protective and regenerative activities in the liver. The liver is the body’s detoxifying organ, disabling toxins such as ethanol, environmental poisons, pesticides, and certain pharmaceuticals. When damaged or diseased, the liver’s ability to eliminate toxins and perform its numerous other functions may be severely impaired. This highly active botanical has been shown to support and enhance normal, healthy liver function. Patient One Vitamin D3 10,000 IU supplies cholecalciferol, a highly absorbable and bioavailable form of vitamin D (from lanolin), for optimal nutritional benefits for the skeletal, cardiovascular and immune systems. Vitamin D3 is the naturally occurring form of vitamin D synthesized in humans. Studies show that plant-derived D2 is metabolized differently than D3 and that D3 may be over 3 times more effective than D2 in raising and maintaining serum vitamin D levels. Vitamin D3 is most noted for optimizing calcium bioavailability, thereby promoting peak bone mass and bone strength. Patient One Vitamin D3 10,000 IU is a professional-strength medinutritional formula that promotes compliance through once-a-day high-potency administration. Patient One MediNutritionals are sold exclusively through health care professionals. 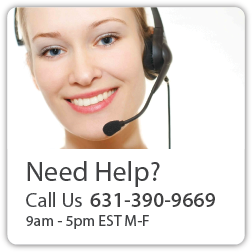 For more information about Patient One MediNutritionals, visit www.patientoneformulas.com, or call 877-723-0777. These statements have not been evaluated by the Food & Drug Administration (FDA). These products are not intended to diagnose, treat, cure or prevent any disease.